EL*C, the European and Central Asian Lesbian Conference, brings lesbian activists together for its second conference a month ahead of the European elections. EL*C, the European and Central Asian Lesbian Conference, will bring hundreds of lesbian activists together in Kyiv, Ukraine for four days of sessions on politics, visibility, health, art and family life from tomorrow to April 14. 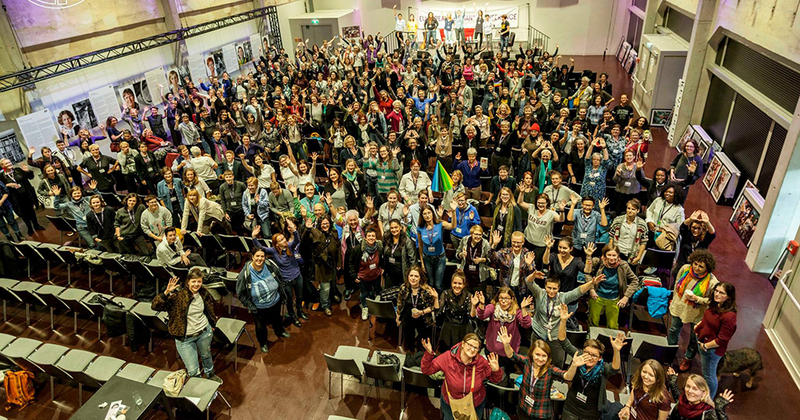 EL*C is the biggest network of lesbian activists in Europe and Central Asia, with a board of 25 members including lesbian leaders from across the area. Its first conference took place in October 2017, in Vienna. Five hundred lesbian politicians, artists, journalists and academics gathered from all over Europe and Central Asia for the historical event. Indeed, the legal position of lesbian-headed families remains problematic here in Ireland as well as abroad. Kyiv has been chosen as an ideal location for an international dialogue in today’s political climate. Over the past few months, the results of many European countries’ elections have brought to power individuals and movements that EL*C describes as deeply dangerous for LGBT persons and women. The conference will be opened by Monica Benicio, coming especially for the occasion from Brazil. She is the partner of the activist Marielle Franco who was murdered in the streets of Rio in March 2018, and is a major actor in the fight against President Jair Bolsonaro. An exclusive survey on the situation of lesbians in Europe and Central Asia will reveal statistics covering areas such as health, discrimination, decision-making and political participation, visibility and family. The full programme, including dozens of sessions with high profile discussions and speakers on politics, safety, lesbian lives, media coverage of lesbian issues, resources, art and sexuality, is available from the EL*C website. The conference will also include a public action intended to increase visibility and vocalise the lesbian agenda, bringing lesbian activists and allies together with a united voice. Organisers ask that those interested contact them directly for further details, as they are choosing not to publicise full information in case of provocation and counter-demonstrations.